With a stay at Hotel Ai Cavalieri di Venezia, you'll be centrally located in Venice, just a 3-minute walk from Basilica di San Giovanni e Paolo and 6 minutes by foot from Rialto Bridge. Featured amenities include complimentary newspapers in the lobby, dry cleaning/laundry services, and a 24-hour front desk. With a stay at Borgo Del Castagno in Cortona, you'll be within a 15-minute drive of Santa Maria delle Grazie and Santa Maria Nuova. Free self parking is available onsite. 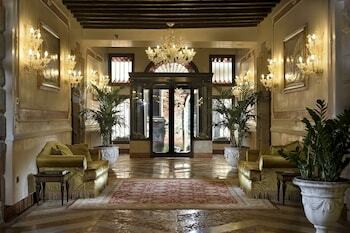 Rialto Deluxe Apartments offers accommodations throughout the area in Venice. The front desk is staffed during limited hours. Colombo Guesthouse offers accommodations throughout the area in Riomaggiore. The front desk is staffed during limited hours.